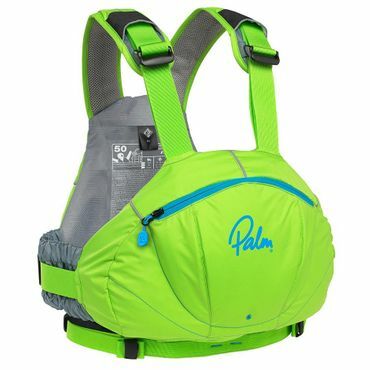 Highly buoyant PFD designed for white water paddling. The construction allows wide range of motion. Thanks to its low profile front panel, it is perfect for kayakers. 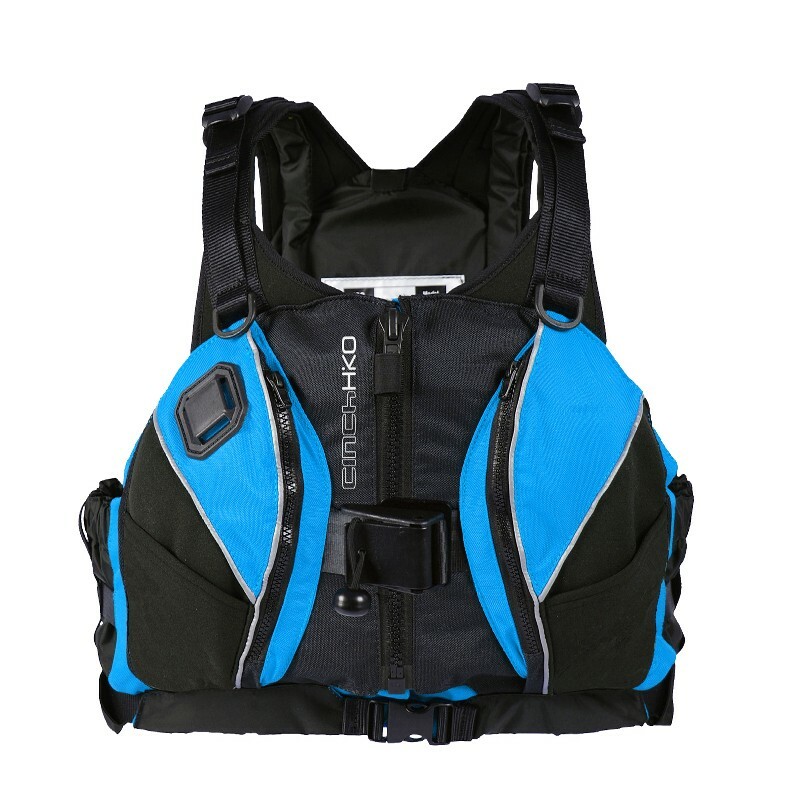 Wide shoulder straps are padded with neoprene. Shoulder straps as well as two pairs of side straps are easily adjustable fitting all body types. 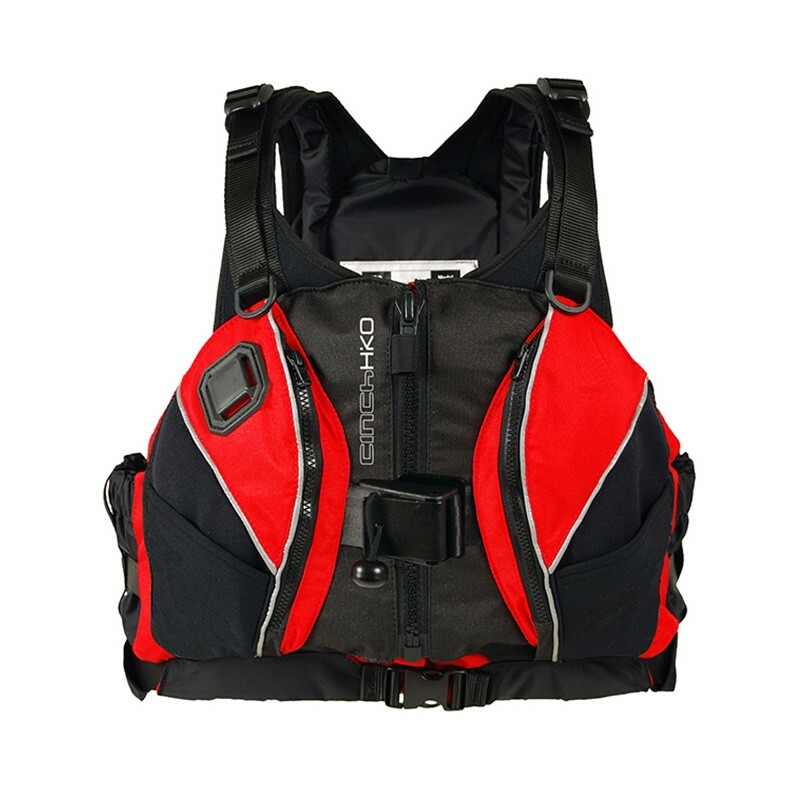 Cinch is characteristic by its front zipper; the vest is super easy to put on and take off. Two large front pockets provide enough storage space. Collapsible pocket for a throw-line is located on the back panel. 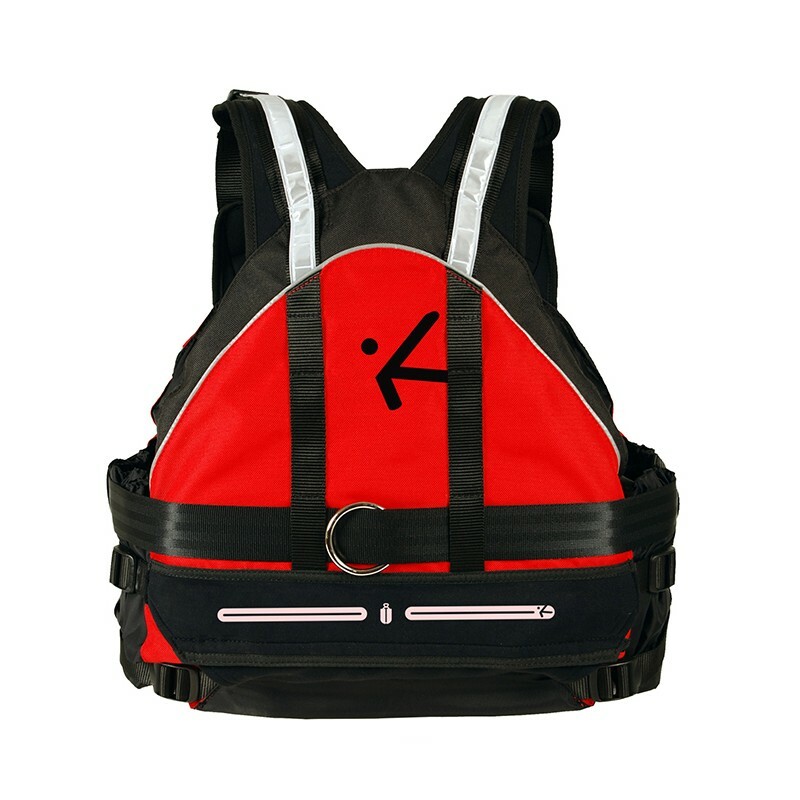 Cinch is available without a harness but there is an option of installing one. You will find reflexive elements as well as safety whistle on this vest. PE = Very light closed-cell polyethylene foam.